Which is the cheapest office space for me? Looking for great value office space can be a long and frustrating process. 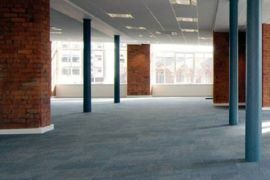 How hard can it be to find offices in a city-centre location that look great and boast plenty of room? Well, here at Office Genie we’re happy to help. The following are a few things to think about in your search for cheap office space. What offices are the cheapest? 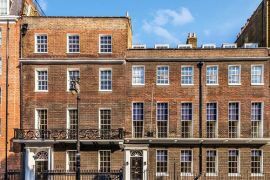 We’d say that, as a general rule, a traditional office rental on a long-term lease is the cheapest, particularly if you’ve got your own furniture. They’re also great if you’ve got an admin team to handle property management issues. The month-to-month contracts are also hugely more flexible than a lengthy lease. They cost a little more each month, but you don’t have to sign up long-term. If you’d like to learn more check out our handy guide that tells you all about serviced offices. If you’d like the cheap alternative, you could consider sharing an office with another company. You’d get a more basic package of features (usually limited to a desk, chair, broadband and utilities) but this may be all you need. Intrigued? You can read more about them in our guide to desk-rental. What locations boast cheap office space? The cheapest properties are generally further away from town and city centres. So, if you want to rent low-cost office space, it might be worth spreading your net to include some slightly less desirable locations. Doing so may bag you a bargain! If you do lease an out-of-town property, it’s worth considering things such as transport. It may be more difficult for employees to travel out to the office. You just need to encourage employees to look hard for alternative transport routes: Is there a national rail service that’s no longer than an average tube journey, or is there a good direct bus service from the local bus station? If you’re saving an absolute packet on rent, you could also consider subsiding staff’s travel costs; you’re still saving money and your staff are happy! Locating in such an area can actually make your business stand out as alternative and exciting. You’re refusing to accept the norm. It’s quite a savvy move to locate in an area that you know is being developed. 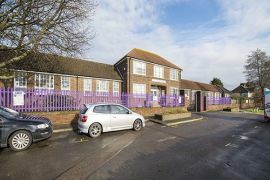 It’s a great way to get cheap office space in an area that’s destined to become increasingly popular. For a great example of this, look no further than the International Quarter at the Olympic Park. All this, and such areas may not be too far away from prime locations. If you do have an eye on a prime spot, but still want to find some low-cost office space, there are ways you can grab a bargain even in the most expensive locations. Central London really is a world leader when it comes to sky-high rental fees. However, a quick search of the offices we have for rent in Soho shows prices can be less than £30 per square foot. This represents great value for office space right in the heart of the capital. To get a space this cheap you’ve got to go back to basics and do without a few of the features that can ramp up the price of an office. Ask yourself do you need features such as meeting rooms, kitchens, showers, lifts and communal areas? There’s also the building itself. A space in listed building is naturally going to cost more than an office in a perfectly adequate but less remarkable property. Once you’re inside will it really matter to staff? You may also pay more for a room with a view; a further thing to cut out if you want bargain office space. How small should you go? Go open plan to fit more staff in comfortably. Encourage staff to work from home so you don’t need to house your full team at all times. 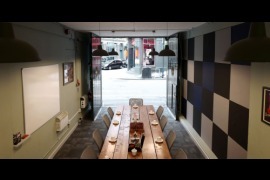 You could base an entire team in a flexible shared or serviced office. Go without meeting rooms and hold your conferences elsewhere. Combine smaller desks with a clear desk policy. We did this at Genie and it’s amazing how quickly you get used to it. Agents: Enlisting the help of an agent will cost you more. Although, with their knowledge and brokering skills they may be able to unearth you a really great value office. This could save you money in the long run, particularly as you’d only have to pay agent’s fees for your first year. Going big: If want to rent a larger office, with a view to expansion, but can’t afford it, then fear not. You could always go for your dream space put any spare desks up for rent right here on Office Genie.